Retention emails take up a huge portion of all marketing emails sent today. Not sure what retention emails are? Basically, all emails sent to existing customers with the purpose of keeping them as your clients, are considered retention emails. For this reason, retention emails can fall into so many categories. 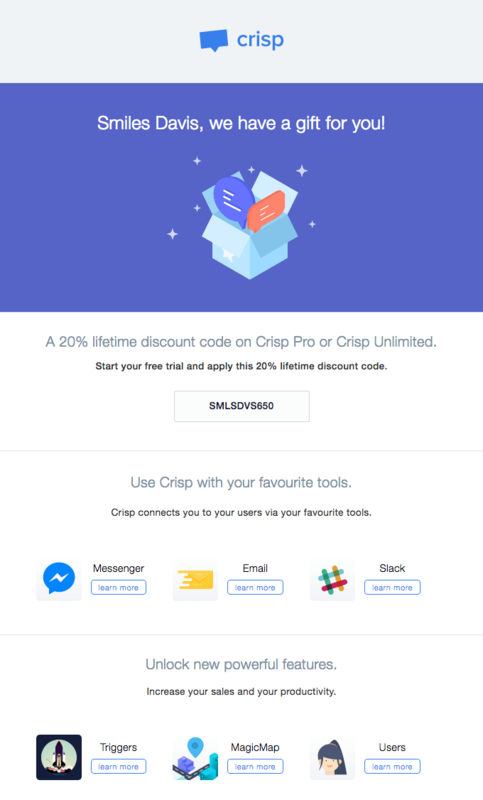 Whether you are using discounts and deal offers to entice your clients to come back to your site, or you are sharing new exciting features about your product to intrigue your target audience, or anything else which aims to remind your clients about your brand, all of these emails fall into the category – retention emails. For your convenience, today we’ve sorted our retention email examples into different categories. So, let’s begin and hope you’ll get a lot of ideas for your own retention email campaigns. One of the most used techniques yielding immediate results is promotional activity – deals, offers, discounts, giveaways, etc. Not only does this strategy work very well but quite often people wait for such offers in order to come back and buy from you. Here are a few good examples of promotional retention emails which convert. 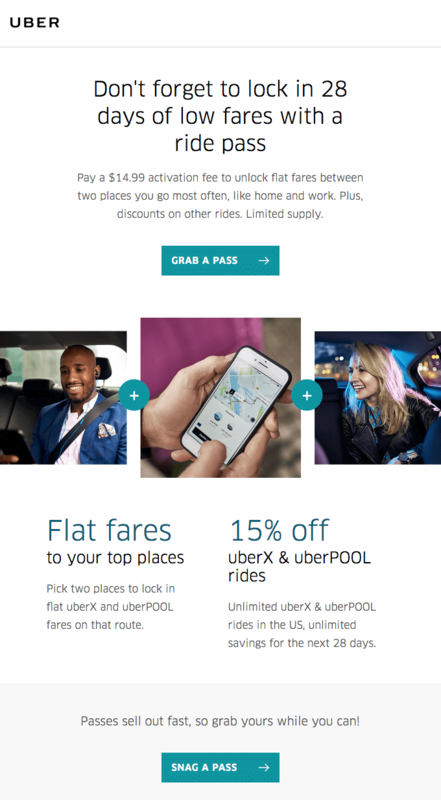 Such campaigns like Uber’s are made to turn clients into loyal users. Not only did Starbucks present a new product but they attracted their clients to come and taste it for 50% less. People love receiving gifts. 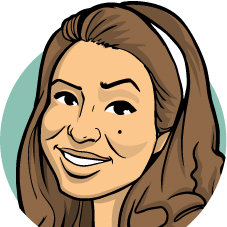 Upside used this strategy to make their clients book a trip, plus added an urgency factor. Subscriptions are a good way to keep clients by your side for longer. How to make them subscribe? 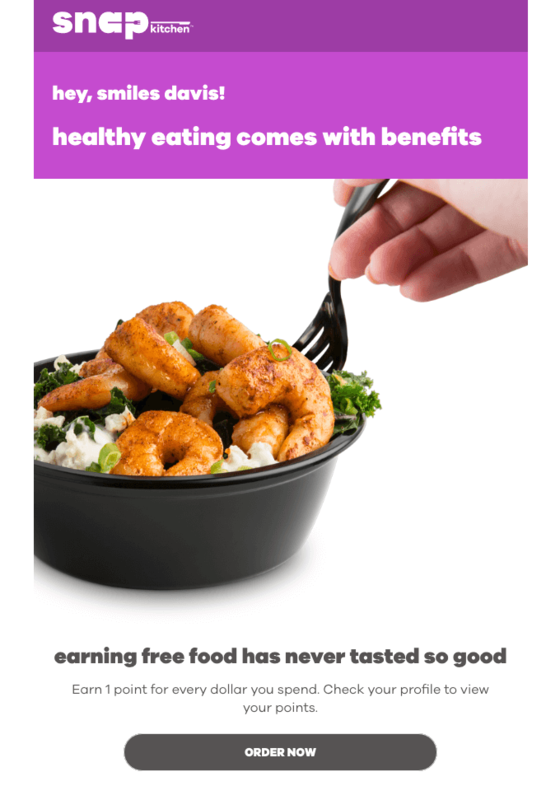 Point out all the benefits just like Sattva did. A personalized email combined with a gift is definitely a promising combination. This is what crips did in one of their retention emails. When you offer a lot of products just like Target, it’s impossible to segment your audience very narrowly. Retention emails like this catch the attention because your audience may be interested in plenty of products. Here is another example of giving gifts in retention emails. Depending on the product you buy, Apple gives you a different pair of headphones. Planning ahead saves time and money. 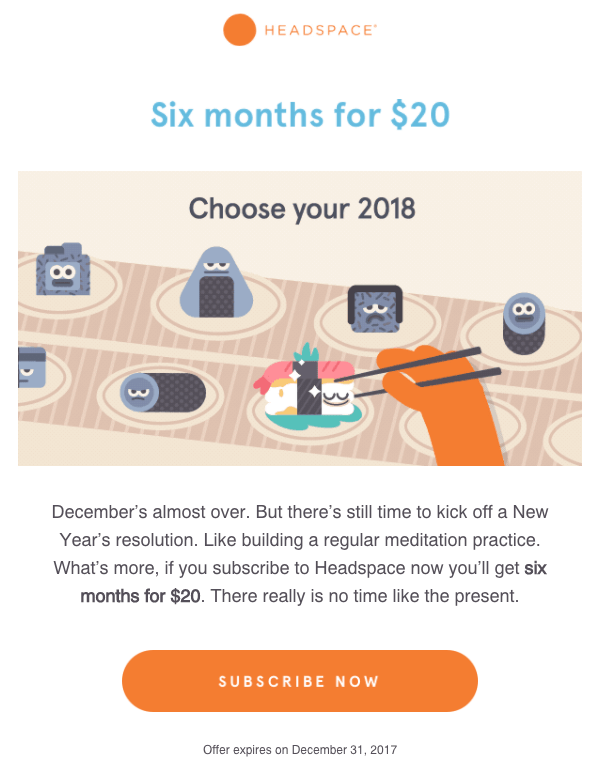 Headspace knows this and reminds you to subscribe now for the upcoming 6 months. We all appreciate and love our friends who keep our motivation high and help us become the best version of ourselves. When a certain brand takes up this role of a motivational friend, the chances of us becoming their loyal clients are quite high. Here are a few examples of motivational retention emails. Congratulations for the achieved goals can do wonders when the purpose is to keep people encouraged. 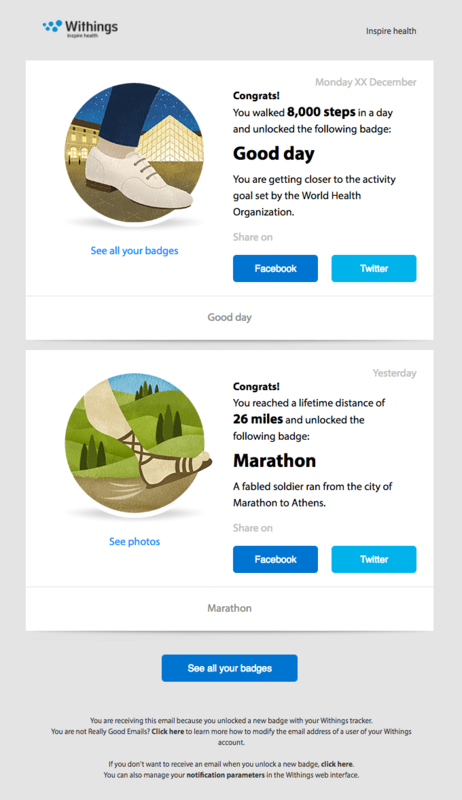 Here is a great example set by Withings whose emails certainly motivate the recipients to keep going, and therefore keep using the brand’s services. 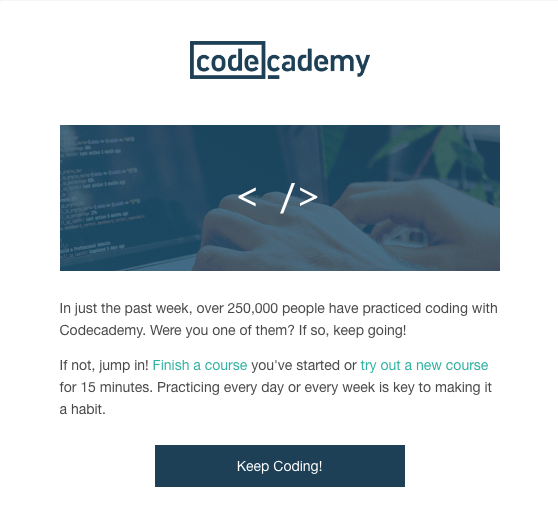 Encouragement and motivation – codecademy does it all in this email no matter if you have been using their services all this time or not. A great technique to motivate your clients is give them a prize but only if they achieve their goals. Okay, first of all unlocking a certain level is a good strategy to make your users come back but complementing their writing is a whole new level of encouragement (referring to “writing awesome things”). Earning points for spending money is quite a good motivation to keep spending money, right? Sometimes, using money as an incentive is all the motivation your clients need in order to become active advocates for your brand. Here is an example by acorn. Sometimes the new products, features, or even campaigns and missions are what grabs the attention of your current clients, especially if it about something they’ve waited for a long time. 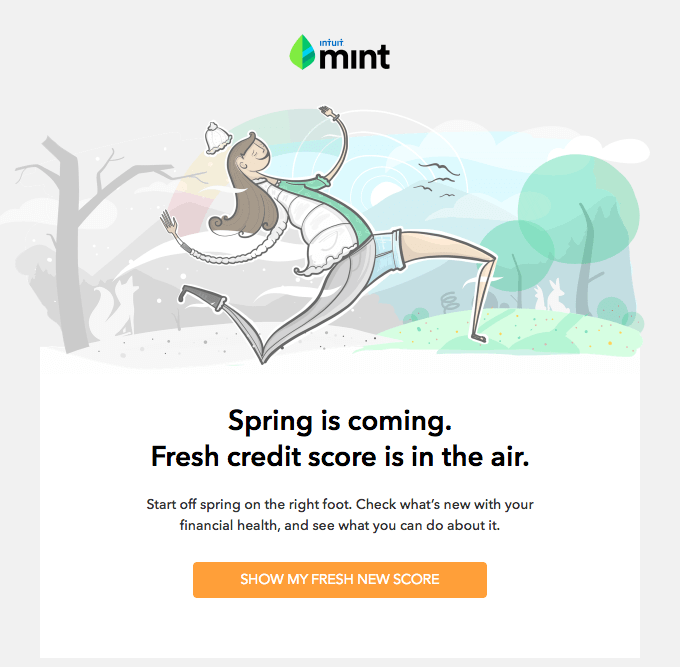 Here are several examples of announcements retention emails. Here is an email which introduces a new service in such a way that the user has been waiting for it their whole life. Well done! Change of seasons is a great occasion to present new products and services that will reactivate your clients. Another great example of retention emails are monthly newsletter emails which remind your users about your brand on a regular basis. Delivering relevant content to your current clients is key to keeping their interest high. Here is a good example of Sprout Social presenting a new insightful report to their audience and outlining key features to increase their interest. It’s a good idea to regularly fill in your inactive clients on the latest news and updates going on with your brand and your product. Here is a retention email example by Trello presenting new features and celebrating 2 billion accounts. How many great suggestions by Stocksy in this retention email campaign! Stocksy has included eye-catchy curated content to make their recipients click through. Bringing value should be one of your top priority when it comes to keep your clients coming back. 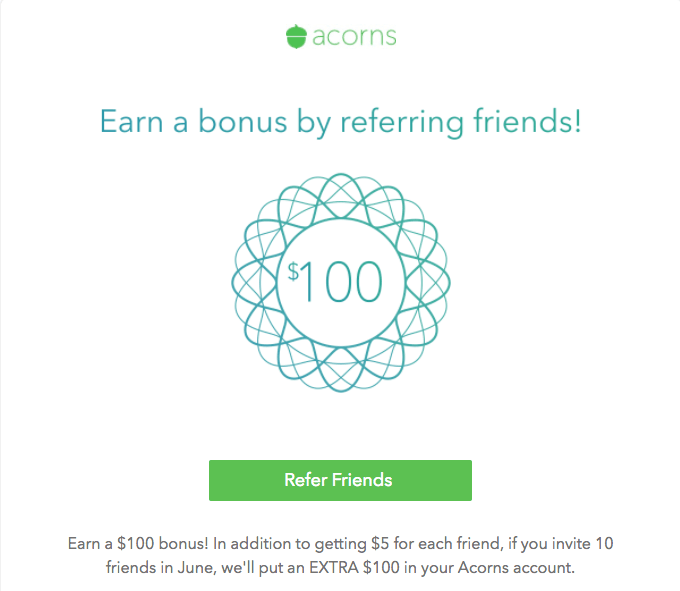 Here are a few examples for retention emails which educate the recepient and convert. 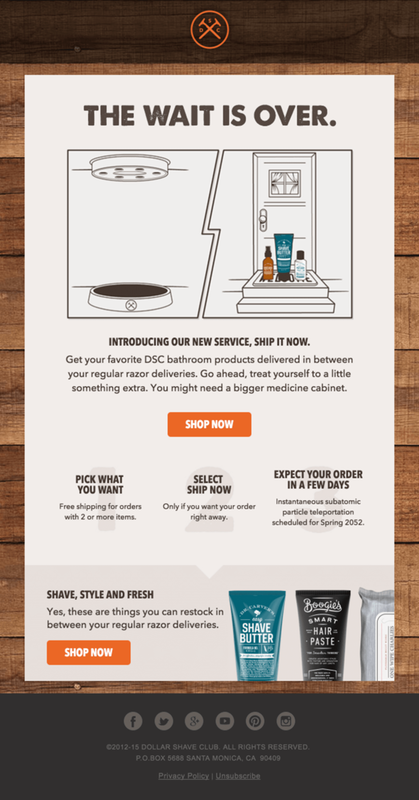 Here is a good example of retention email which educates the customer on how to make ordering easier. Quick, easy-to-read tips which finish with a call-to-action button. By educating your audience about how to use your product, you also highlight your product’s benefits. Here is a great example by Heroku. Videos are the most preferred means of education these days. Now while video sharing via email is still limited, you can simply place a “Play” button and navigate the recipients to where the video is uploaded. Bring out a new passion. Sometimes, your clients simply need to have their curiosity provoked. Here is a great example by DIY which sent a retention email about making pizzas. Who wouldn’t love to learn that? Series of useful tips not only educates your audience but makes them wait for the next portion of tips and ultimately, makes them convert. This is our most favorite educational retention email example. While it is clearly branded, the tips are not directly bound to the product itself. This means – Headspace educates for a better living while they raise brand awareness. There are really a lot of different retention email types. Email marketers are becoming more and more creative in keeping their clients active and they should be! With the big competition these days, you have to stay creative and deliver content that will really catch the recipients’ attention. 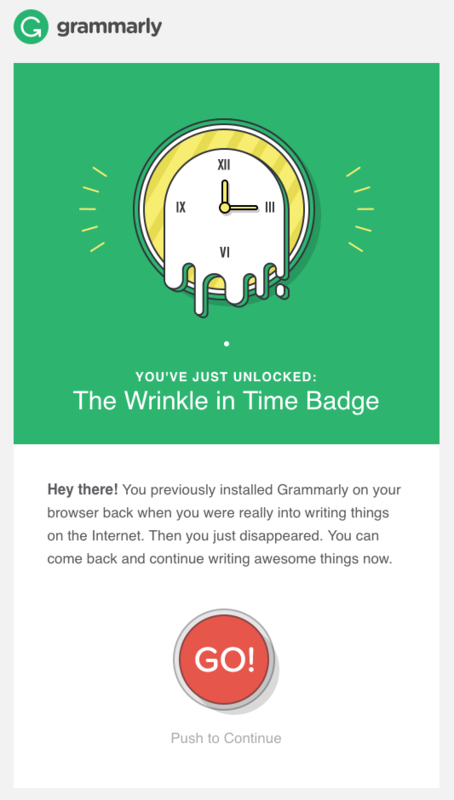 We hope we’ve been helpful with this collection of 28 examples of retention emails. We are sure that there are even more brilliant examples worthy of mentioning. So, we encourage you to share your thoughts and good examples in the comments below. Interested in 80+ FREE MailChimp Templates to Kick-Start Your Email Marketing?